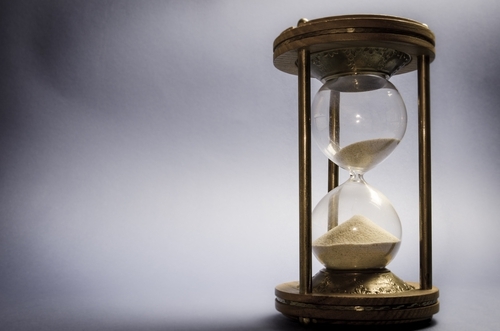 How Long Should it Take to Build Your Website? For many, the prospect of building a website is intimidating. There is no doubt that building a website when you have no previous experience in doing so can be a challenge. For this reason, some individuals who are new to website building may draw out the process and build their website over a long period of time. Individuals who are busy and have a number of other responsibilities may also find themselves in a situation in which it takes a long time to complete their website. There are advantages and disadvantages to both approaches. Building a website over a long period of time, as opposed to building it in a single sitting, can make the process appear less challenging. If you are new to the idea of website building, you may also find that this approach gives you the ability to learn as you go. By the same token, if you have a jam-packed schedule and feel as though you could not possibly build a website all at once, you may feel as though building it over a long period of time would better suit your schedule. Opting to build your website in a single sitting can also present many benefits. Among the top benefits of doing so is that it will help you to get your website live faster. The longer that it takes for you to have your website published, the more time you are missing on capturing your audience’s attention. Whether you are publishing a personal website or one for your business, this can be vital time that is lost. This is time that could have been put toward improving your website, optimizing it and increasing traffic. Instead, your website is still sitting in the sandbox awaiting completion. Among the primary problems with drawing out the building of your website is that it often leads to further procrastination. Unless you are extremely disciplined, you may find that your website is never published at all. The impact of this depends upon your reason for building a website. If you are building a personal website, it could just mean that your family and friends never get to read about your thoughts on life. On the other hand, if you are building a website for your company, you could fall behind the competition and lose out on sales. Having a website is no longer a luxury for business owners: It is a necessity. To remain competitive and stay ahead of the competition, you must ensure that your business can be accessible online. The faster you publish your website, the more competitive you can be. Another significant disadvantage of building your website over a long period of time is that you will likely face the need to tweak your site constantly as changes occur. The Internet does not remain static and neither do search optimization strategies and Web surfing trends. Even if you are building a personal website, you need to make sure it is keeping with the latest trends, so it does not appear stale and outdated. Wait too long to publish your website, and you could find that you need to go back and redesign it entirely. Of course, it’s true that you would need to regularly update a published website, as well, but it can be even more frustrating to redesign an unpublished one. One of the main reasons many people take the long approach to building a website is because they are unfamiliar with website building and find the idea daunting. In the past, it may have been true that website building required a significant amount of experience, particularly in terms of coding. Today, that is no longer the case. Even if you have no experience at all, it’s still possible to build your own professional-looking website in very little time. In fact, you can build a great looking website in one sitting without any prior experience. Website building tools have made it incredibly easy to click and drag the elements you wish to include in your website. Within a few minutes, you can have a customized website ready to publish. Such options are ideal for situations in which you need to respond quickly to market demands or you simply have an inspiration for a blog and want to share it with the rest of the world. Building a website over time can present the opportunity to plan out your website design, but it is important to ensure that you do not spend so much time planning your website that you never actually publish it. Taking advantage of a website building tool can help you to launch your idea for a website quickly and easily, even if you do not have any previous experience.